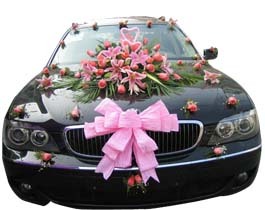 Wedding car rental in Delhi including Decorated Car for Doli and you can also Hire Luxury Car, Suv, and Mini Van in Delhi for your special guests. The best drive for special day of your life You have picked up a designer Wedding dress, a beautiful Wedding venue, Wedding caterers, Wedding photographers even Wedding cake makers for the day of your life. Would you settle for anything ordinary on this special day? We offer luxurious and special Mercedes benz car rental in Delhi and many other cars to select from our fleet. We also have Toyota Landcruiser Prado, Volkswagen Multivan and other sedans, vans and coaches for your special friends and guests to make this day a memorable one. One of the finest cars in the world is right choice for this special day. You will appreciate the comfort with an extra serving of Prestige.The car is the most luxurious and exclusive sedan built by legendary engineers at Mercedes Benz. This is the perfect luxury vehicle with a laid back sophistication of S class which has set a new benchmark in luxury and it’s the absolute epitome of what a luxury limo should feel like on this special day to make it memorable. Mercedes E350 is the latest generation with a laid back sophistication of S class and casual elegance. The car comes from Possibly the most luxurious of all cars brand in the world with dual-zone climate control and plush leather upholstery. The Audi A6 is a symbol of class, elegance and luxury. As all Audi cars, it symbolize status prestige and the luxury saloon has everything from premium appeal, extremely rich features to new age styling elements that make it a great car. 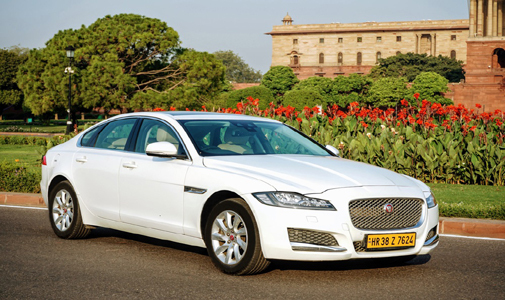 It is a true all-rounder luxury sedan with superb ride and comfort. As soon as you step in this car, you will appreciate its fantastic attention to details which makes it one of the most sought after and special car to take your bride home. It’s a luxury sedan that distinguishes itself from its rivals placing a greater emphasis on high style inside and out. XF is a unique combination of sports car styling and luxury saloon. Its plush interior are also among the best in its class. Luxury of a different kind, for a different stature. The latest technology, dynamic exterior and superlative make Toyota Camry set a new trend every time it cruises down the road and offers great value for money. It is a super-smooth cruiser on the road and can go virtually anywhere of the beaten path. It has spacious and roomy cabin that doesn’t skimp out on head, shoulder and leg room. There is no better SUV than a Land Cruiser. This multivan in our fleet is very upmarket. Step inside and you are welcomed with an interior that includes great features. The second row seats can swivel 180 degree. There is a centre console with a unique multi-function table. The compact luxury SUV of its league, the Audi Q3 also impresses with its elegant and sporty design and features. It as in ideal compact SUV for a small group of youngsters to make a style statement on this special day. Luxury Tempo Traveller has three rows of 1 X 1 Making 6 executives class occupied by windows on both the sides and one rear seat which can accomodate 4 persons making a total seating of 9 passengers besides driver. Toyota Commuter enjoys a worldwide reputation of proven performance and comes loaded with features to make it more comfortable and stylish. It is a perfect van for a small group with moulded trims and plush seats. Volvo coaches are best in its class and set new standards. This is the most ideal and comfortable coach to ferry your guests in style. Volvo provides excellent ride comfort with regulated front air suspensions and optional toilet facility inside.